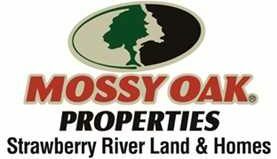 This 40+/- acre piece of property has mixed use residential, recreational, timberland in Cave City, AR 72521, Sharp County. Loaded with whitetail deer, big tom turkey, small game, squirrel and rabbit. Many equestrian trails, ATV trails and hiking trails throughout. Property has a lot county road frontage. Would be a great place to build a forever home or maybe just enjoy huntings. Call Pam Welch at 870-897-0700 to see this property.